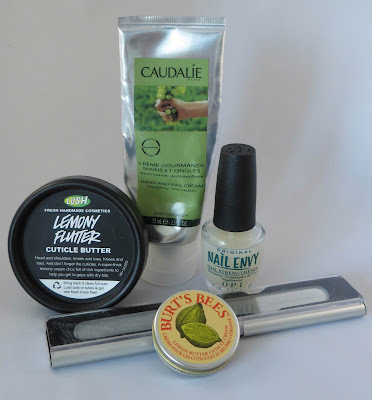 I've seen lots of nail bloggers do nail care posts and so I suppose my favourites have come out of suggestions I've seen elsewhere. Let me start off by saying I'm not particularly good at sticking to beauty routines, of any sort. 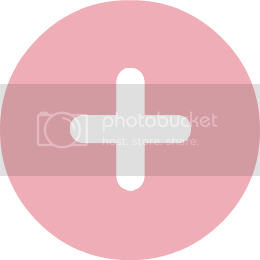 However, after I started painting my nails and removing with acetone frequently, I noticed that my nails and cuticles really started to suffer so I sought out some products that would make my cuticles soft and pretty; my hands smooth and silky; and my nails strong and hard. 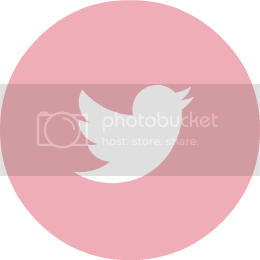 I don't use the below with religious regularity. 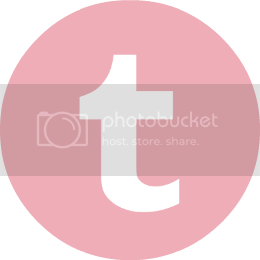 I use them as and when I feel I need to, or want to - so take from this what you will. I've discovered two wonder products for cuticles. 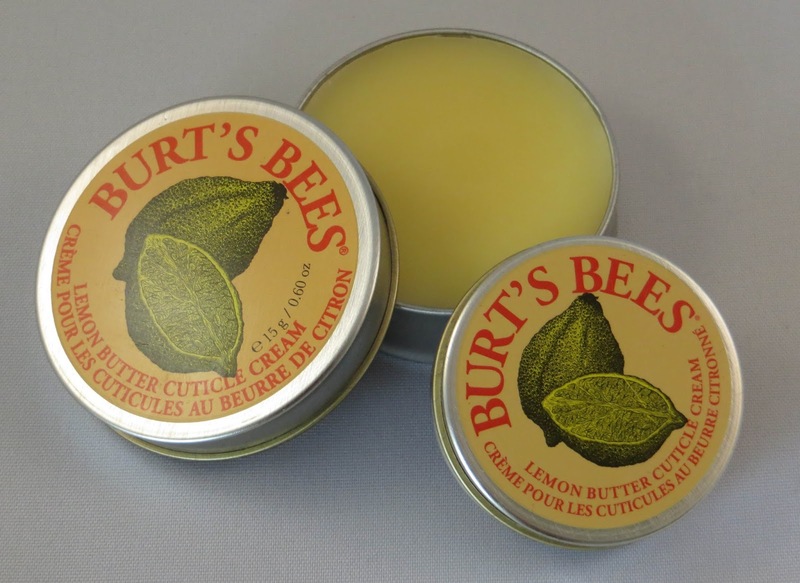 Burt's Bees Lemon Butter Cuticle Cream and Lush Lemony Flutter. I've seen them all over proper nail bloggers' websites - so knew they'd probably be pretty good at their job! Burt's Bees Cuticle Cream is a hard-ish balm in a tin, the same consistency as you'd expect from a lip balm in a tin. It smells really lemony - the sort of smell you get when you zest a lemon, that lemony. I got my first tin in the Burt's Bees Tips and Toes Kit which has trial sizes of some of their favourite products. It's a mini 8.5g tin - the normal size is 15g, but the little one is perfect to pop in my handbag and use when I'm on the tube and have 10 minutes to give my cuticles some attention. It's a little greasy to rub in, but the greasy feeling doesn't last and my cuticles always look replenished after I've used it. Available all over the internet (just do a Google search), but also on the Burt's Bees website at £5.99/15g. Lush Lemony Flutter Cuticle Butter is much more of a 'use at night' cream as it really is very greasy. It smells very different from the Burt's Bees lemon, quite hard to describe - almost dirty lemon. Not unpleasant, just not as fresh and zesty. The first time I wore it the smell followed me around and I wasn't sure about it, which is partly why I wear it at night. 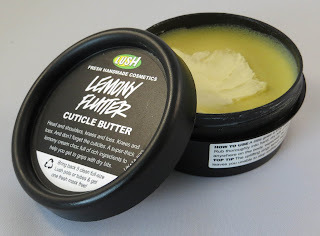 (The pot says 'the uplifting zingy lemon fragrance leaves you unable to stop sniffing yourself' - I would agree, in that I kept sniffing myself to figure out what it was I was smelling, because I didn't think it was pure lemon...) It's very definitely soft and creamy in consistency - and wow does it nourish my cuticles. I've had hardly any cuticle problems since I started using it a couple of weeks ago. The lady in the shop also suggested using it anywhere where you have hard skin - so I tried it on my elbows last night and now they're super soft and smooth too. The pot is a whopping 50g and I honestly don't know if I'll ever get to the bottom of it! It's alsAvailable in Lush stores and on their website for £6.25/50g. I've had this Leighton Denny Crystal Nail File for a few years now - my mother put it in my stocking one year - and I literally refuse to use anything else to file my nails now. Long gone are the days of those uncomfortably rough and sandpaper-like nail files which feel like they're ripping your nails to shreds. This makes filing nails easy and almost a treat - and there's none of that one-way filing nonsense I could never get my head around. The description on their website says that 'its unique surface seals the ends of the nails and helps with peeling and splitting' - I'm not sure how it can do that, but I'm going to assume that it helps to prevent peeling and splitting! Apparently the surface also comes with a life-time guarantee, so as long as you don't drop it and break it (both of mine came in handy little cases), you should be good for years to come. 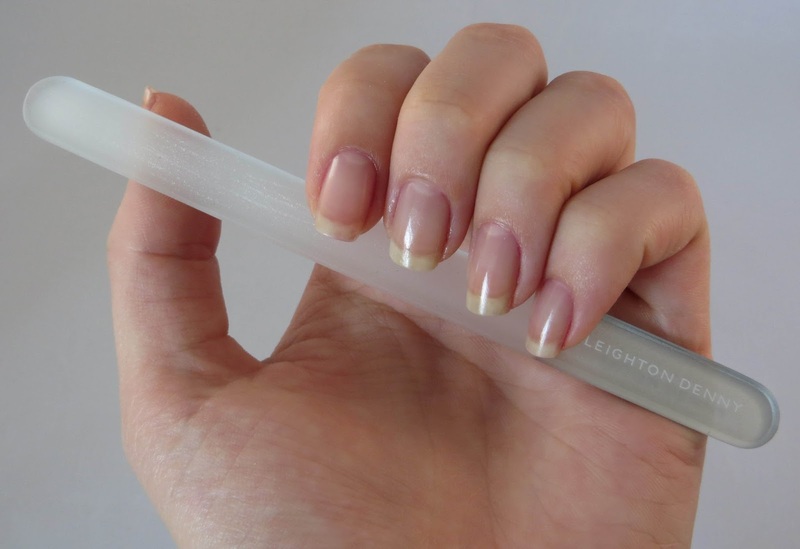 This nail file has won numerous awards and it's not hard to see why. Available in various shops and all over the internet, but also on the Leighton Denny website for £12.50 (including the little aluminium box). I am a total convert to OPI Nail Envy Nail Strengthener. My nail preparation never used to involve base coat. Rarely top coat, but never base coat. Until my nails started peeling like crazy and being soft and just not growing sensibly (pretty sure they didn't like the lack of air they were getting due to being covered in polish all the time). So I did a bit of research on the old internet and it seemed that OPI Nail Envy was a real favourite amongst nail bloggers. I don't think my nails have ever been this strong in my life (except for the summer I spent in Virginia, USA where the humidity does wonders for nail strength, wonders I tell you). The instructions say to apply two coats on the first day you use it, then one coat every other day after. I don't stick to this too rigidly, I just apply whatever I feel my nails need. But I love it. You can see in the pic above how long my nails are at the moment (apologies for the nail staining...) - I'll give total credit to the OPI Nail Envy for them. Available on various websites for various prices, but I got mine from Amazon for £8.98/15ml. 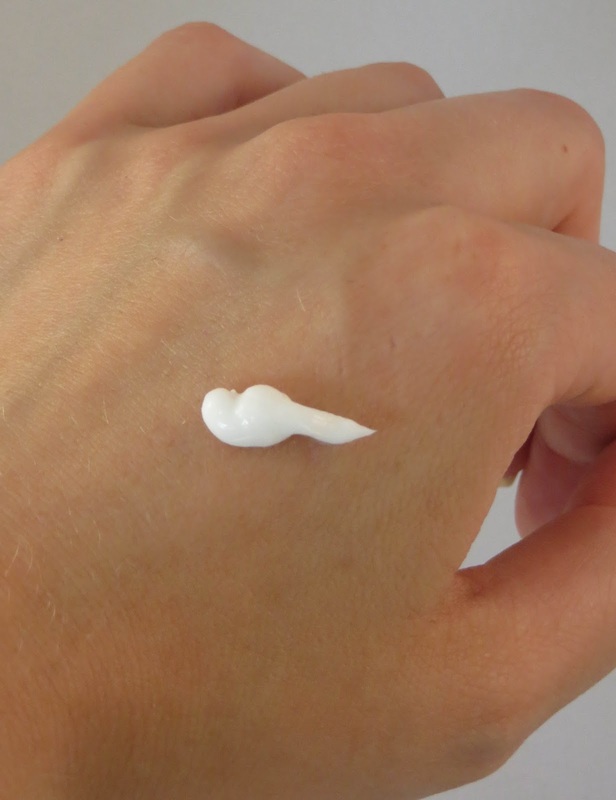 Hand cream. Where does one start with hand cream? It's available everywhere. Some are better than others, so how do you find a good one? I guess it depends on your criteria. 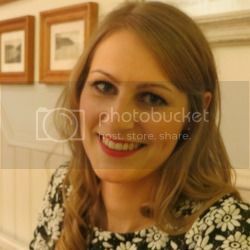 I look for one that's not greasy (I am rarely more than a metre from my iPhone and I don't want greasy prints all over it thankyouverymuch), one that smells good and one that moisturises effectively. 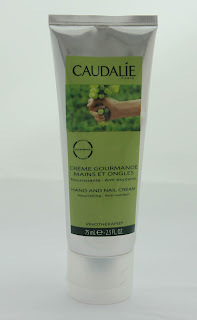 Caudalie's Hand and Nail Cream ticks all of these boxes. 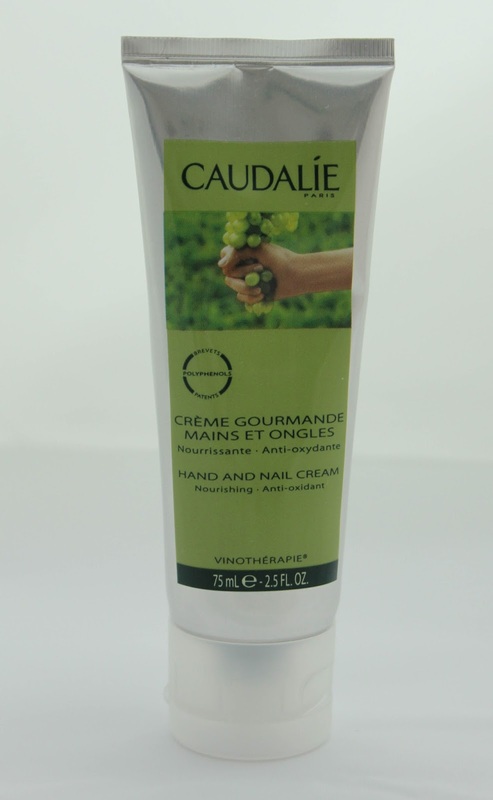 It's not cheap, but it is the best hand cream I've come across to date (that's not to say I won't use others, sometimes I like a change of fragrance or whatever). It's hard to describe the smell - but the description of the formula is 'highly concentrated in anti-oxidant grape-seed polyphenols, Vinolevure [I have no idea what this is but a quick Google tells me that it is 'Extracted from wine yeast used during vinification' and 'possesses naturally fortifying and protective properties'], fair trade shea butter, grape-seed oil, avocado, plant glycerine, sweet orange.' It's clean, fresh and inoffensive - but you can smell hints of all of the ingredients. The real win factor though is the lack of greasiness after application, so you can easily apply it throughout the day without it getting in the way. Available on various sites around the £10-12 mark, currently on FeelUnique for £10.80/75ml. Phew. That was quite a lot of writing. I'll be amazed if you're still with me. But if you are, I'd love to hear your thoughts on moving away from solely nail art and swatches... or on these products - what do you use in your nail care routine? Good to know! My cuticles are suffering a bit at the moment! I must take more care of them seeing as they are on show a lot more now! Well lemony flutter will definitely sort them out! I like finding out about what proucts other people like and are using! I tend to stick with the same things all time time but reading about what others think then I can choose something else for a change! 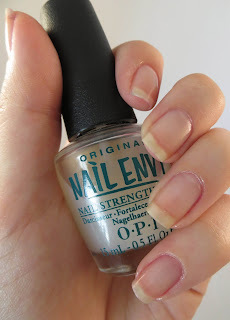 OPI Nail Envy Nail Strengthener ist toll, habe ich jetzt auch endlich ausprobieren können. Sie fantastisch auf den Fingernägeln aus. Thanks Samira - I had to use Google translate to get the gist of what you said (not being well versed in German!) but OPI Nail Envy is definitely great!